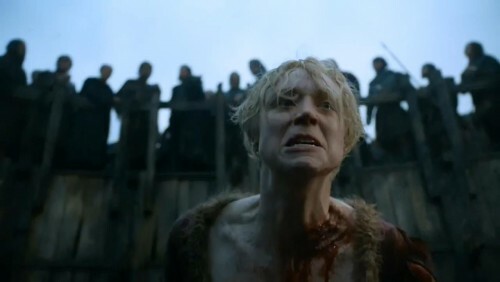 One of the real pleasures of the press junket this year was getting to talk to a member of the cast I’ve not met previously… and perhaps no cast member has really excited me as much as Gwendoline Christie, the imposing Brienne of Tarth. The actress seemed practically born for this role, and she made quite an impression in her all-too-brief appearances in the second season. 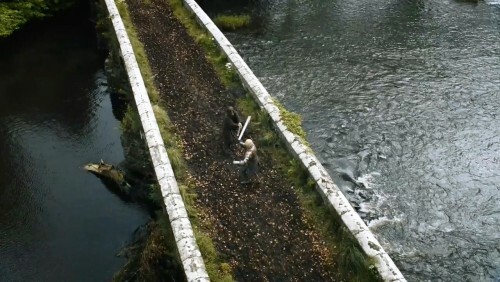 The third season promises to give us a lot more of the Maid of Tarth, as she travels through the dangerous, war-torn riverlands trying to deliver Jaime Lannister to King’s Landing as Catelyn Stark commanded her to do. What can you tell us about this season of Game of Thrones? Why do you think people like Brienne so much? Was the audition process difficult? “A friend was the one who told me that there was some talk about me playing this role. I’d never heard anything about it, but I decided to look into it, and I fell in love with the character. Do you feel the difficulty in your own life, of being so tall and standing out? Do you think that that’s the only way a woman can be powerful in that world, taking on masculine traits and attitudes? She’s one of the most loyal characters in the show. She doesn’t question her loyalty, or the people she’s loyal too. Do you think we’ll see that change? How are the fight scenes for you, are they hard? So are you at the stage now where if someone bothered you in the street, you could sort it out? Are you recognized by fans in the street now? How have you found the fans? Did you watch the first season through before you started filming? Were you rooting for any side in the first season? 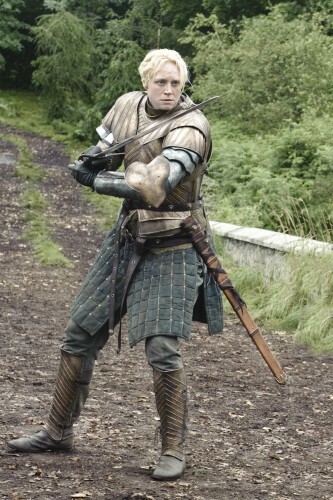 You mentioned that Brienne adopts masculine attributes, and that was interesting because Nikolaj, as Jaime Lannister, effortlessly gives off that sort of confidence and dominance she aspires to. 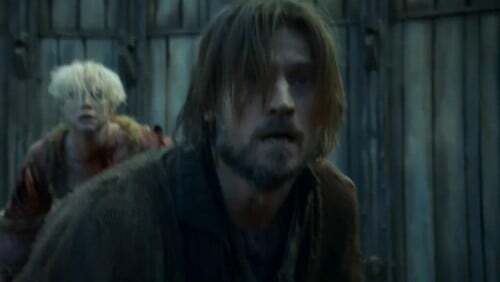 But at the same time, he’s the Kingslayer, an oathbreaker and betrayer, he’s everything a knight shouldn’t be… but he’s a knight, while she aspires to that as well. How does that affect their relationship? Any indication on upcoming projects for yourself? Do you think you’ve fulfilled the expectations of fans, because of how popular she is? Do you visit any fan sites? Fantasy often has things to say about war, about human nature. Is there anything you feel you can learn about our reality from the series? Where did you film the most in season 3? You mentioned you enjoyed the rougher elements of filming, like fight scenes. Did you have any limits?